Accenture has bought Irish creative agency Rothco - the tenth acquisition in marketing services that the consulting giant has made this year. 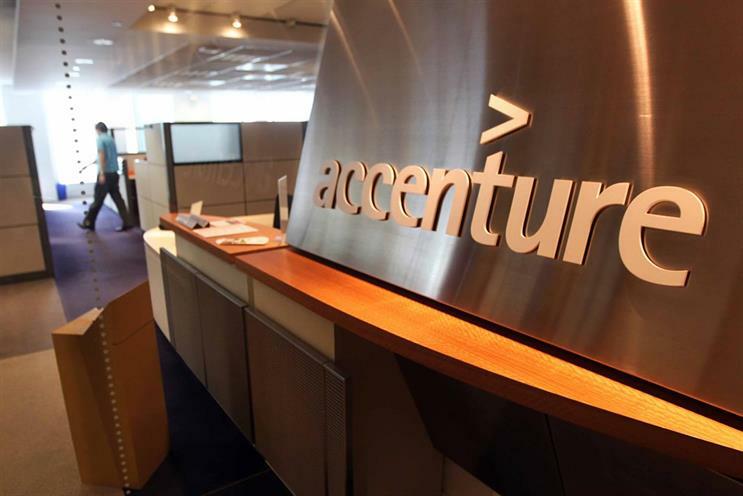 Accenture Interactive, the digital and marketing services arm of Accenture, has now bought as many agencies in 2017 as it did in the previous six years from 2011 to 2016 as part of a major expansion drive. Dublin-based Rothco was founded in 1995 and employs more than 150 people in strategy, creative, technology, design, project management and production. Clients include Tesco, Heineken and Allied Irish Banks. Accenture Interactive said it "plans to scale Rothco’s creative and brand marketing capabilities internationally". The Irish agency already claims "a large proportion" of its turnover comes from work created in Dublin that runs in markets "way beyond [its] shores", according to a blog post on its website earlier this year. Accenture Interactive wants to become what it calls the "experience agency of record", which can handle every aspect of the customer experience, not just the creative and marketing, and it said Rothco can help with that ambition. "Experience is the new battleground," Alastair Blair, country managing director of Accenture in Ireland, said, adding: "Rothco is a great fit for our business." Accenture Interactive won Maserati as its first experience agency client last month. Patrick Hickey, chief executive of Rotcho, said: "Accenture Interactive is a hugely exciting brand to be a part of. It’s shown tremendous leadership in moving towards a new agency model, and we’re very excited to be part of that change." Accenture Interactive has bought 22 agencies in areas such as digital, design and e-commerce since it launched in September 2009. The acquisition drive began slowly as Accenture took seven years to buy 11 agencies. The purchase of Karmarama in London in November 2016 turned out to be a watershed moment. It was the first creative agency that Accenture bought and it marked the start of a more aggressive move into traditional advertising. Accenture Interactive’s 10 acquisitions in 2017 have been Sinner Schrader in Germany, Kunstmaan in Belgium, The Monkeys and Maud in Australia, Media Hive, Clearhead, Wire Stone and MATTER in America, Altima in France and Rothco in Ireland. Financial terms of the Rothco transaction were not disclosed. Joy Bhattacharaya, managing director of Accenture Interactive in UK & Ireland, said Rothco was "very similar" to Karmarama and The Monkeys. He acknowledged that Accenture Interactive is going to be operating a number of different creative agency brands internationally. Deciding which agency should take the lead "will depend on the context of the client", he said. "We’ve got time to figure that out." Bhattacharaya said the priority is to "do everything that preserves culture and talent" at the agencies. Some of Rothco’s staff met Karmarama's team ahead of the deal and the Irish agency’s four founders will stay on after the acquisition. Rothco and Accenture Interactive had not previously worked together but they share some clients. Accenture has close links to Ireland as it is incorporated in Dublin, even though its shares are listed on the New York stock market, and Bhattacharya said a lot of clients "keep coming" to Ireland. The consulting giant opened The Dock, a "multi-disciplinary research and incubation hub", in Dublin in February. Accenture’s stock market value has jumped by a quarter to nearly $100bn this year as shareholders have backed its strategy of investing in digital, which the company has dubbed "The New". Accenture has been the most aggressive of the consulting and IT groups to move into marketing services. Other notable deals have included Deloitte’s purchase of Acne in Sweden and Cognizant’s acquisition of Zone in the UK this year. Traditional agency holding companies such as WPP have played down the threat and questioned if the consultants can "buy culture". However, the share prices of most of the big agency groups have dropped by about a fifth this year amid wider questions about FMCGs cutting spend. Accenture, which employs 425,000 globally, claims it has "a culture of cultures" that allows agencies to keep their identity.